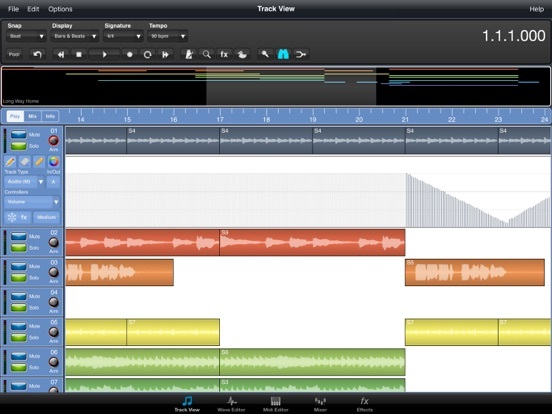 •Record up to 12 tracks (upgradable to 32) of CD quality audio. •Integrated 32 channel Mixer with 3 Band EQ per channel. •Sound Cloud, DropBox, and Copy & Paste Support. 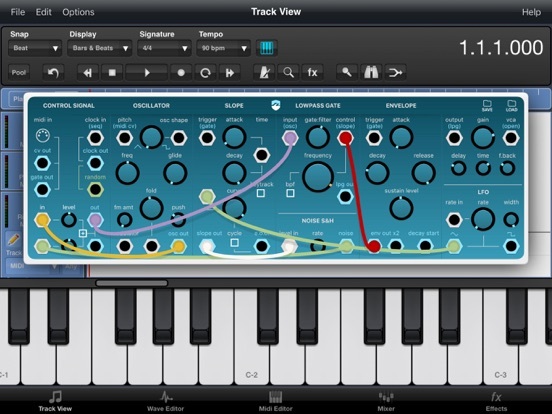 •Apple Inter App Audio (IAA). 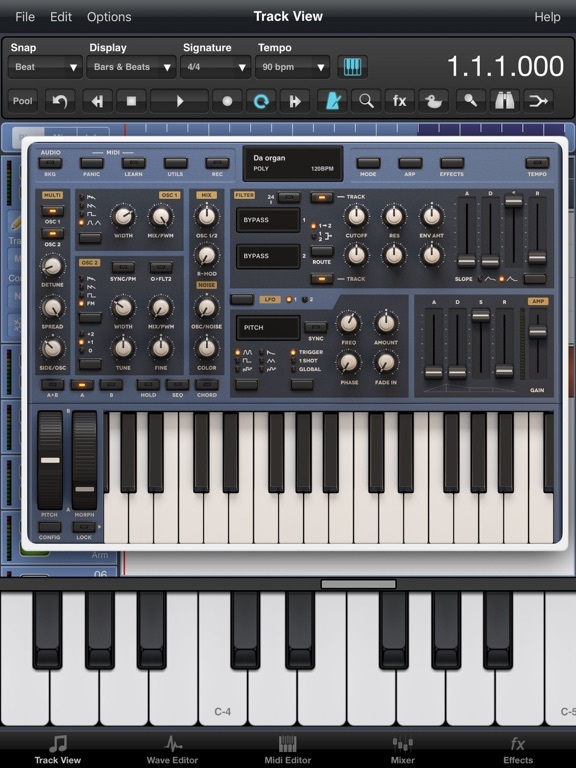 •Import & Export Midi Files (In-App Required). •MIDI Clock Sync with External Hardware. 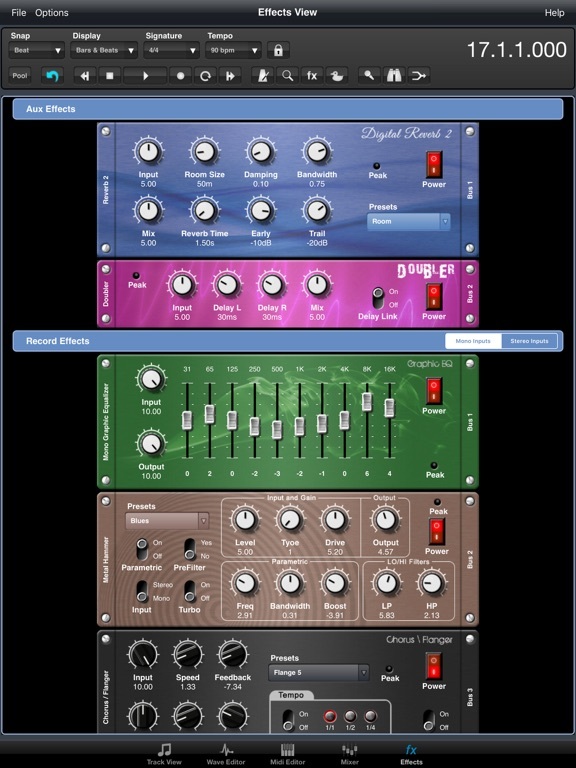 •3 Insert Effects Per Track. 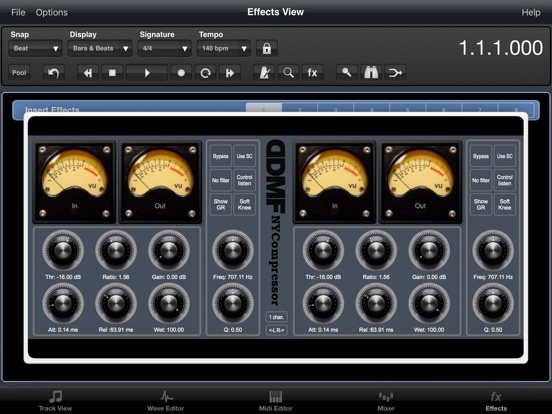 •Insert Effect and Virtual Instrument Freeze facility to reduce CPU load. 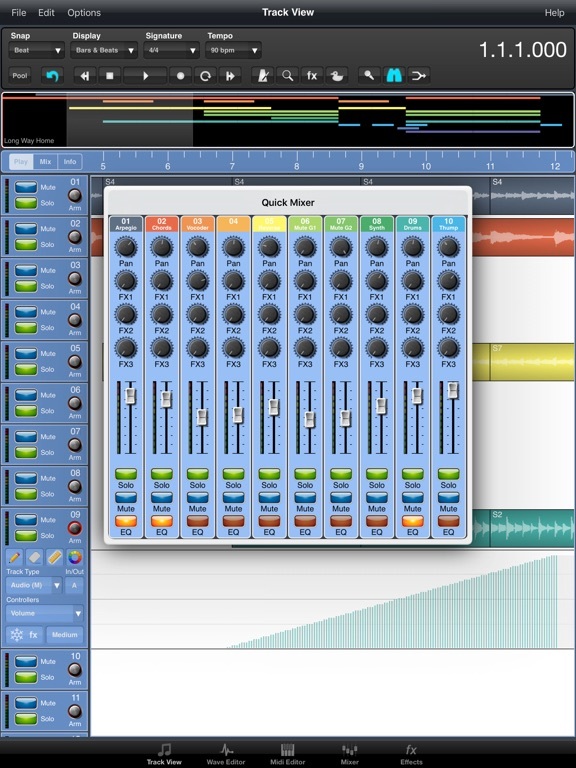 NOTE: This version of Meteor does does not include MIDI support, the WAVE Editor, or simultaneous multi-track recording which are available in the full version. You can however purchase these as In-Apps to give the same functionality of its bigger brother. Added support for Bluetooth MIDI interfaces. Fixed a couple of issues running under the iPad Pro. 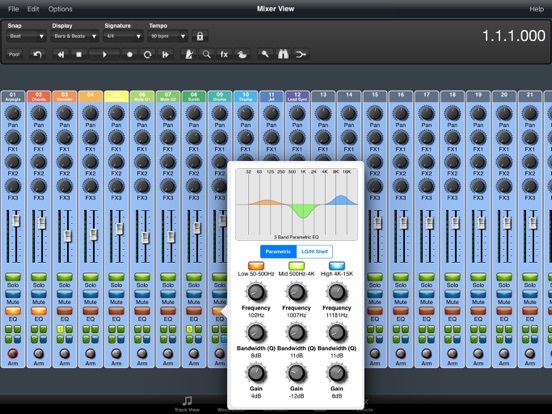 Added the ability to load AUv3 Audio Effects that support MIDI input for direct CC control. Deferred the building of AUv3 plugin list until after launch. 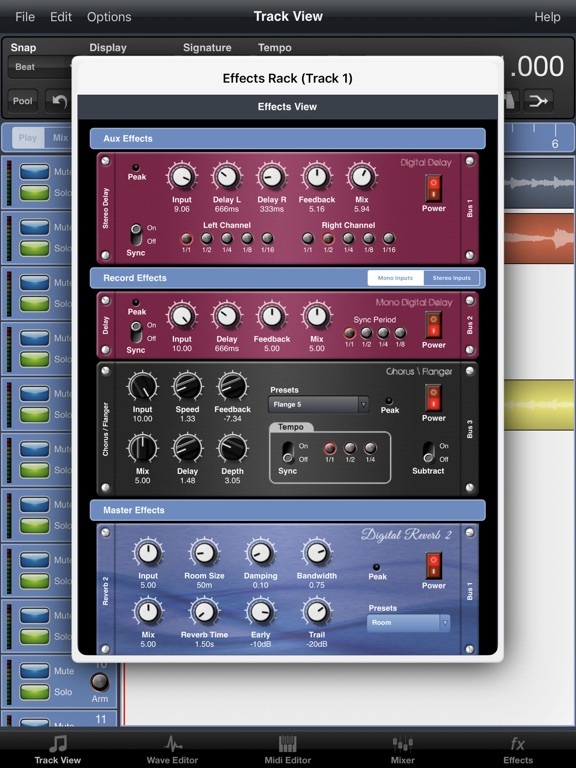 This could be potentially problematic if you have many plugins. Added an option to import WAV, MP3, M4A etc. 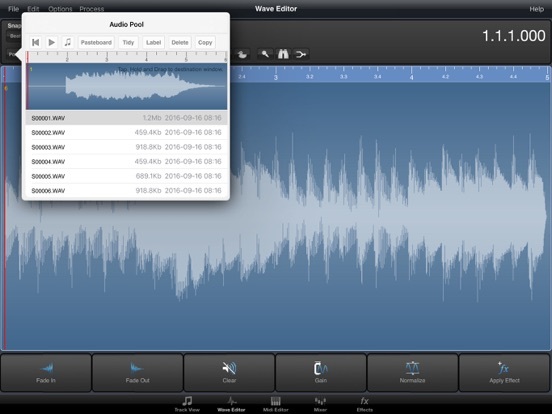 audio files into the Audio Pool from the iOS Files App. Added the ability to share audio files to the iOS Files App.